The fact that Cyprus had, for the time being, been rejected as a naval or military base meant that there was no imperial interest in its development. 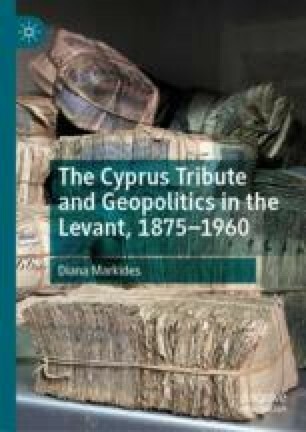 At the same time, the high level at which the Cyprus tribute had been unilaterally set on the whole made it impossible for the local administration to raise the sum required without a British subsidy. This chapter will examine the financial and political difficulties created by the fact that any surpluses or subsidies that might have been spent in raising productivity or lowering taxes, were consumed by the tribute. Cypriot reaction to this financial drain grew through the turn of the century, facilitated by the political and infrastructural benefits that British rule also brought.